New Jersey Personal Injury Lawyer | Levinson Axelrod, P.A. It really does matter which attorney you choose. It's Not Just What We Win. It's About How Much We Care. Since we were founded in 1939, we have won more than $1 billion for our clients. Put our vast, in-depth experience to work for you and your case today. Get legal expertise you can trust. Call (732) 440-3089 for a free consultation. Since 1939, we have recovered over $1 billion for our clients. In the last 5 years alone, we have recovered over $350 million. However, we believe it's not only about how many cases we have won, but how deeply we care about our clients. 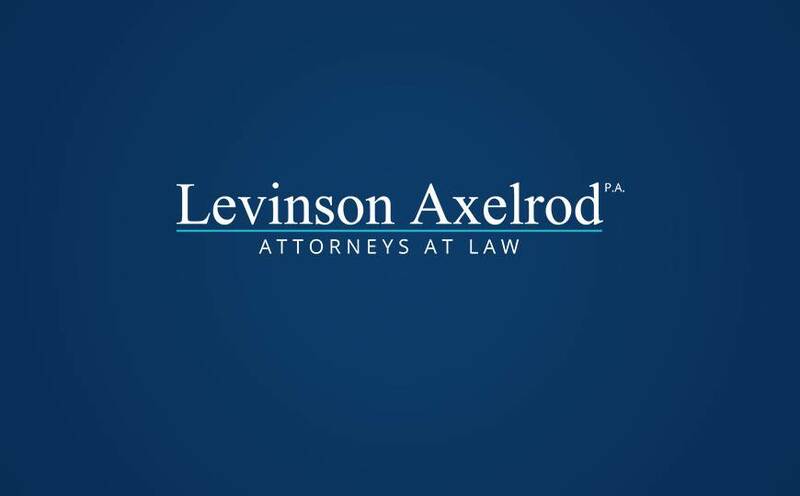 Levinson Axelrod is one of the largest law firms in New Jersey exclusively devoted to protecting the rights of the injured, no matter if they were injured in a car crash, trucking collision, through medical malpractice, or anything in between. As such, we have earned a reputation for being proven experts. In fact, each of our 8 local offices is staffed by an attorney Certified by the Supreme Court of New Jersey— either as a Certified Civil Trial Attorney or a Certified Workers’ Compensation Attorney. Such certification is held by less than 3% of practicing attorneys. When clients come to us, we know they are experiencing one of the most traumatic, confusing times of their life—and they likely have little to no knowledge about the legal system they are facing. That is where our team of NJ personal injury attorneys come in. We consider it our responsibility to act as legal shepherds for our clients, guiding them through every step of the case to their victory. Since we know from experience what our clients may encounter during litigation, we can anticipate, and plan against, potential pitfalls while capitalizing on defense weaknesses. This skill and experience let our clients’ have absolute confidence in our team. In our ongoing efforts to provide assistance for as many clients as possible, we’re proud to say that members of our law firm are fluent in English, Spanish, German, Greek, Hungarian, Russian and Portuguese. Our victories mean our clients can stop worrying about their future. It means they can get necessary medical attention, recover lost wages, and take care of their loved ones. That is what matters to our lawyers. It’s not only about how many cases we’ve won, but how deeply we care about our clients. Proving It Is What Takes Skill & Experience. Since personal injury is all that we do, we can rely on the assistance of our partners and colleagues in addressing novel issues our clients may encounter and, by pooling our vast resources of legal knowledge, we help maximize our clients recoveries. The insurance companies can’t keep up. We've handled thousands of jury trials and our legal team knows how to prepare. By knowing the potential pitfalls that may be involved, we are never caught unaware. At the end of the day, we believe our ability to successfully navigate a client’s claim from intake to verdict is what distinguishes us. In 1939, Richard’s father, Jacob Levinson, founded the law firm now known as Levinson Axelrod in Perth Amboy, New Jersey. The law firm began representing ordinary people injured either at work or by the negligent conduct of others. Ron is well known in the legal profession for handling and trying complex products liability cases against major manufacturers of industrial and consumer products. He was also a pioneer in the field of toxic torts. As a partner at Levinson Axelrod, P.A., Mark is an integral part of our law firm’s representation of accident victims. Mark has been with our law firm for his entire career, and his practice focuses solely on protecting your rights. Adam has been a Certified Civil Trial Attorney since 2001. He lectures regularly at continuing education seminars for other attorneys on such subjects as Medical Malpractice, the New Jersey State Tort Claims Act, and the Charitable Immunities. More recently, Brett was selected as a member of the National Trial Lawyers Top 100 Trial Lawyers in 2011. He is certified by the Supreme Court of New Jersey as a Civil Trial Attorney and is also a member of the American Association for Justice. Robert is a veteran of the United States Army, and served in numerous capacities as a field artillery officer posted in Iraq, Korea, Georgia, and Oklahoma. Honorably discharged in 2004, his time in the Army taught him invaluable lessons. Pat’s passion is fighting for the rights of injured workers. He is a Certified Workers’ Compensation Attorney and head of the Workers' Compensation department at Levinson Axelrod. Rosemary is a Fellow of the College of Legal Medicine and a Fellow of the American College of Cardiology. At Levinson Axelrod, she focuses on Medical Malpractice, bringing one-on-one compassion and skill to every case. David joined Levinson Axelrod in 2012, and takes pride in being a positive voice for those who have suffered harm. Today, he is the head of Levinson Axelrod’s social security disability department. Patrick is the son of a lawyer and has been around law all his life. Working at Levinson Axelrod allows him to follow in his father’s footsteps in an area where he can really help people. Roberto has spent his entire professional career specializing in New Jersey workers' compensation law, and has represented clients in court throughout the state. He is fluent in Spanish, and has represented clients ranging from police office. Before joining Levinson Axelrod, P.A., Christopher was an associate attorney at the law firm of Pellettieri, Rabstein & Altman where he assisted a senior partner in complex personal injury litigation. Erin Kolodziejczyk is an attorney at Levinson Axelrod, P.A. She previously served as a law clerk to the Honorable Arnold L. Natali, P.J.Ch. in the Superior Court of New Jersey, Middlesex Vicinage. Charles “Chase” R. Mathis IV has honed his skills as an attorney since joining the legal world in 2005, and has developed a well-rounded knowledge of the law throughout his career working at several firms in multiple positions. Levinson Axelrod, P.A. Associate Jessica R. Bland is a passionate personal injury attorney and advocate who has been selected to the New Jersey Super Lawyers list of Rising Stars in several consecutive years.